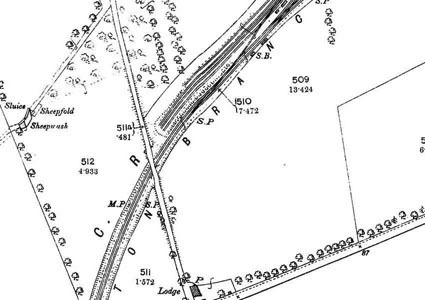 To see more detail, move your cursor over the map, and an enlarged rectangle will appear. Use your mouse wheel or equivalent to change the level of magnification. The map is made up of four parts, which will magnify separately. I am very grateful to Scott Brown, former proprietor of the Starbank Inn, for lending the original. 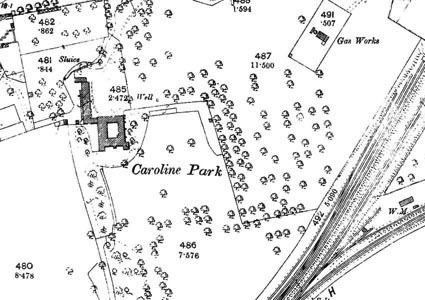 Features shown on this map include Caroline Park House, fortunately still standing and restored some years ago following use as the offices of A B Fleming. 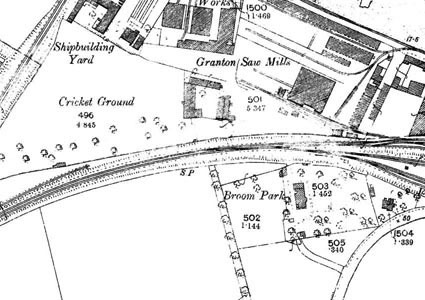 Also shown on the map is the Caledonian Railway including the branch of the original Granton line, dating from 1861, and the Leith branch, built in 1864. 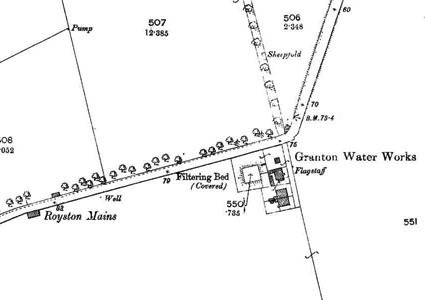 The area at the south west corner of the map – farmland at the time the map was drawn – was used within a few years for construction of Granton Gas Works – see also the map to the immediate west of this one.